Dispite being carefull and doing the necessary research, MMOData.net cannot guarantee the validity of the information found here as it is based on various sources which could be incomplete, inaccurate or otherwise unreliable. Furthermore, all estimates are the opinion of MMOData.net and should be treated as such. Sean Stalzer made a book called "The Syndicate - Beyond The Legend". He describes Online Gaming and MMORPG's as seen thru the eyes of The Syndicate. The Syndicate is a well established online gaming guild. 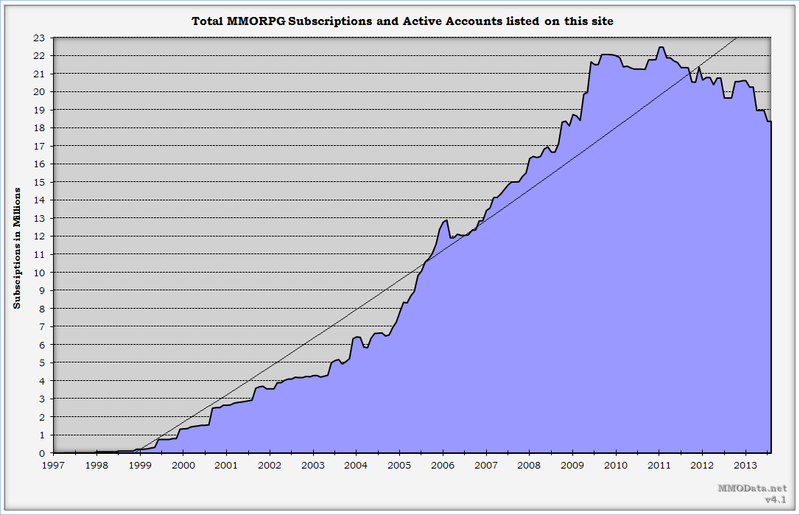 MMOData.net is used on several occasions as a reference. MMOData Charts version 3.3 is Live ! MMOData.net is still running in maintenance mode. The addition of Perpetuum to the charts. A relative new and small MMORPG. 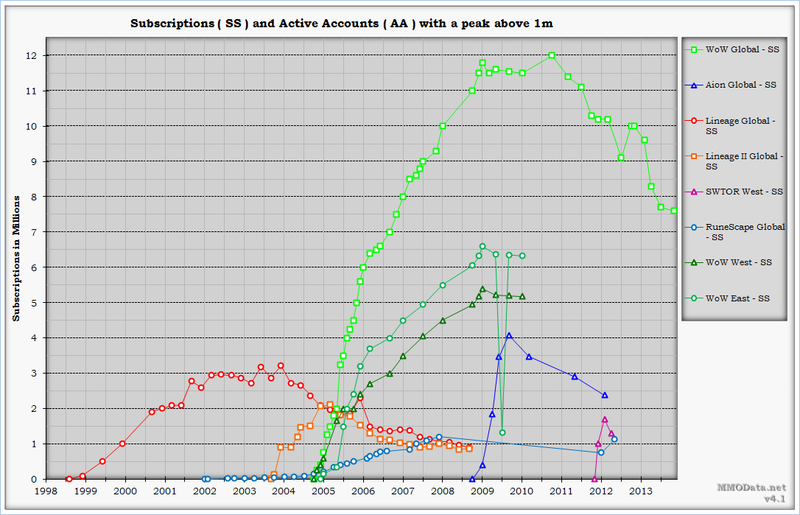 After the initial hype their subs dropped substantially, however it seems that they are slowly curving up now. I wish them all the best with their sandbox Sci-Fi mmorpg as there are only few of them. EVE Online, that other sandbox Sci-Fi game is doing great again. After it's biggest growth month over month in Juli 2010, it had a little dip during September - November 2010, but now they are growing again. And it looks like a small but sustainable growth, it had 358k in Januari 2011 and 364k in May ( which is higher than the 361k in Juli and thus it's highest number yet ). - Added the MMORPG Perpetuum. 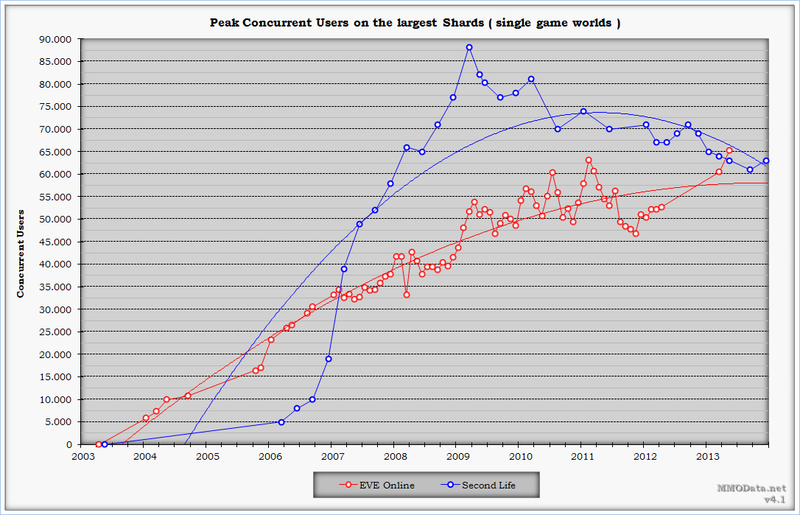 - Added Eve Online datapoints. - Revised the MMORPG definition, changed server into shard. - Revised the "About" section. - Added "Become a contributor" section. 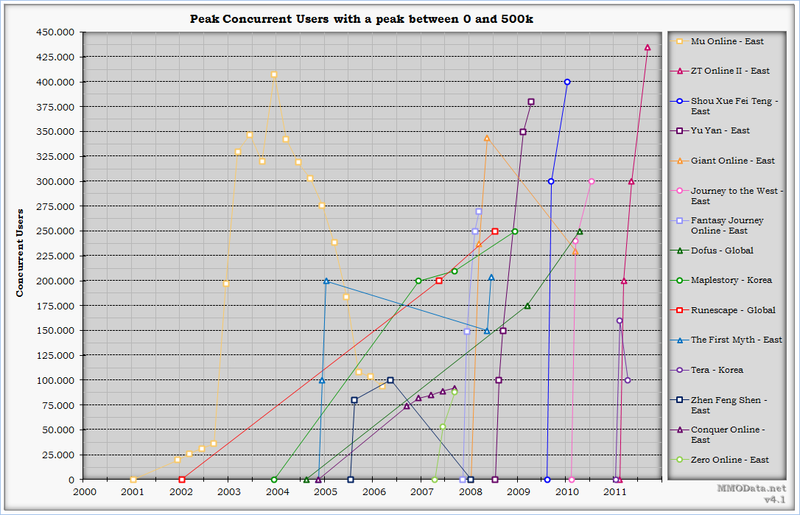 - Revised chart titels : changed MMOG into MMORPG. - Added Avatar Creations ( Perpetuum ) to contributors. 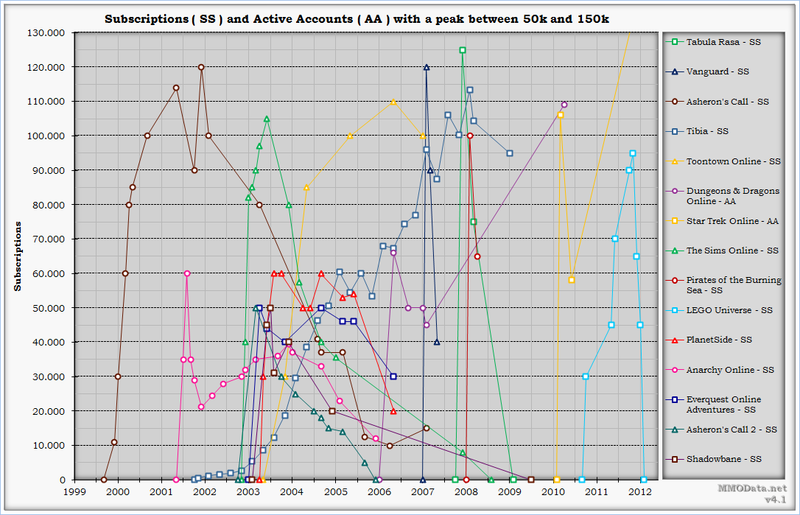 - Expanded charts to June 2011. - Made some cosmetic changes. 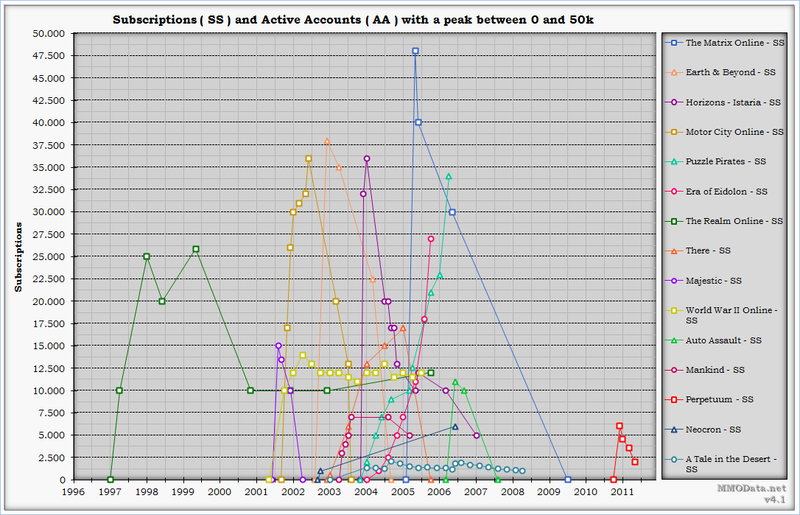 - Re-added the Market share chart, internal only. 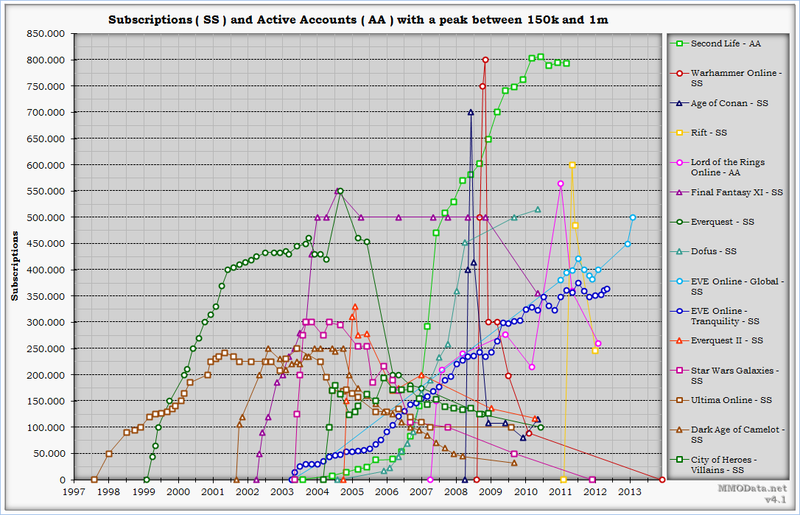 - Expanded the Market share chart. 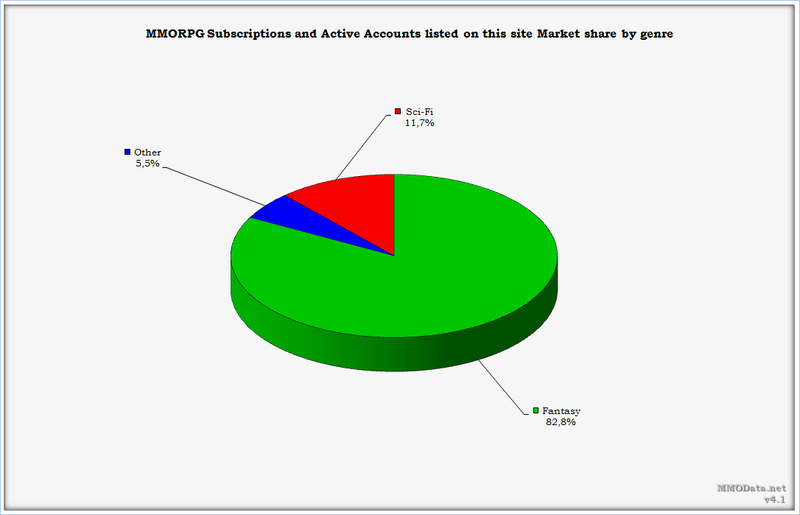 - Added disclaimer on market share chart. The purpose of this site is to track and compare subscriptions, active players and peak concurrent users from MMORPG's, report on the latest news and give you my opinion on various events related to the MMORPG scene. This site is best viewed with a resolution of 1200 x 900 or higher.